The refreshing face of the electronica scene, Wantigga AKA Jonathan Tan, is not your usual music producer. A lifelong musician with a flair for creating unique sounds, Wantigga has the melodic knowledge at his core, and this informs his futuristic soul sound. Born and raised in the Netherlands, Wantigga’s fan base began in Amsterdam and has since expanded globally with listeners streaming his music across the world. 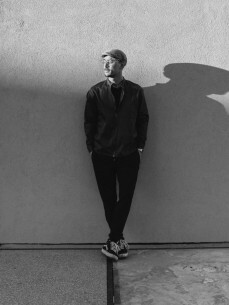 Wantigga soared onto the radar of futuristic soul lovers, with his track ‘Lové’, a collaboration with French rapper Damso which was awarded platinum status.